This just in: We’ve got the Gowanus back for one more summer. And we’re not wasting any time getting started. Opening day is May 12th. If you’ve never joined us at Gowanus Grove, this is what you have to look forward to: Tacos and giant huaraches from Country Boys; Brooklyn-brewed beer, Mexican Cokes, Limonata, and homemade sangria from our bar; and a dancefloor under a grove of poplar trees. 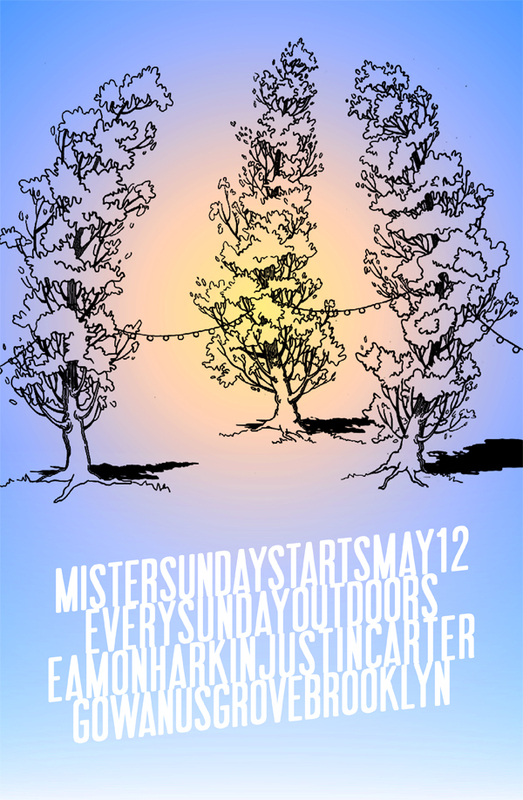 Eamon Harkin and Justin Carter will keep the disco ball spinning every Sunday afternoon throughout the summer. It’s gonna be a good time. We need some help with gardening, so if you have a green thumb, drop us a line. And if you’re a table tennis ace, look out: we’re replacing bocce with ping pong this year. See you under the trees. Can’t wait to daytime dance party!